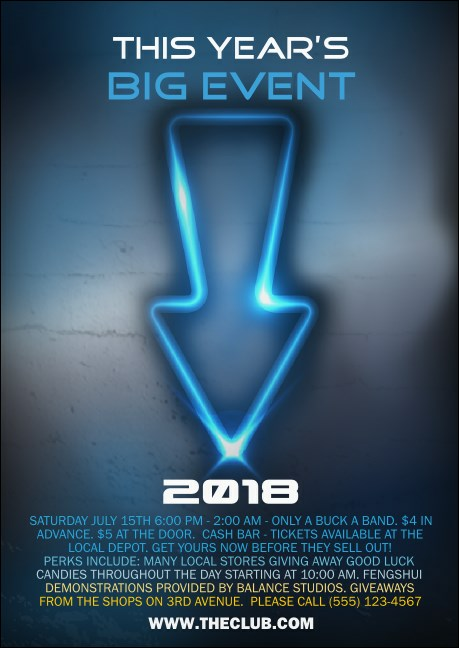 Light up the downtown area with the best pre-event promotions they’ve seen when you print Night Club Neon Postcards in advance for your next party. Give your A-listers the 411 with Postcards that feature a bright blue neon sign in the background and eleven lines of text on the template just waiting for you to customize with your swanky event details. TicketPrinting.com helps put your party on the map.